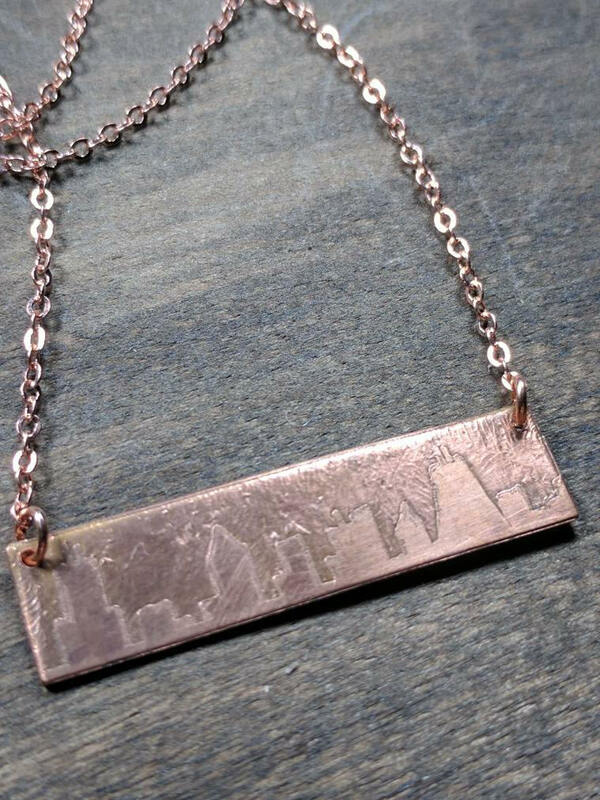 This one of a kind pendant is made from a hand drawn city skyline etched into copper or brass. 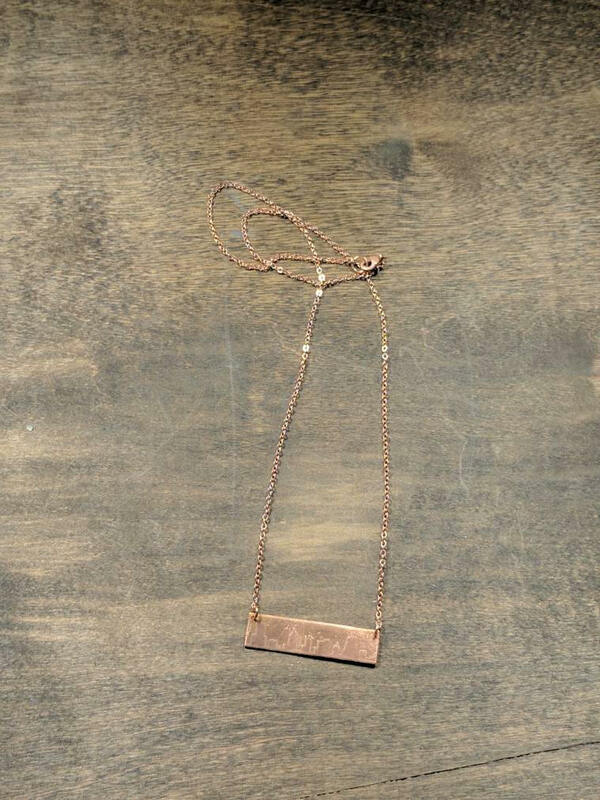 At approximately 1/2 inch by 1 and 1/2 inches, this delicate piece is hung on an 18" chain but chain length can be adjusted to suit your needs and taste. Each skyline is hand drawn, making this a truly unique piece. 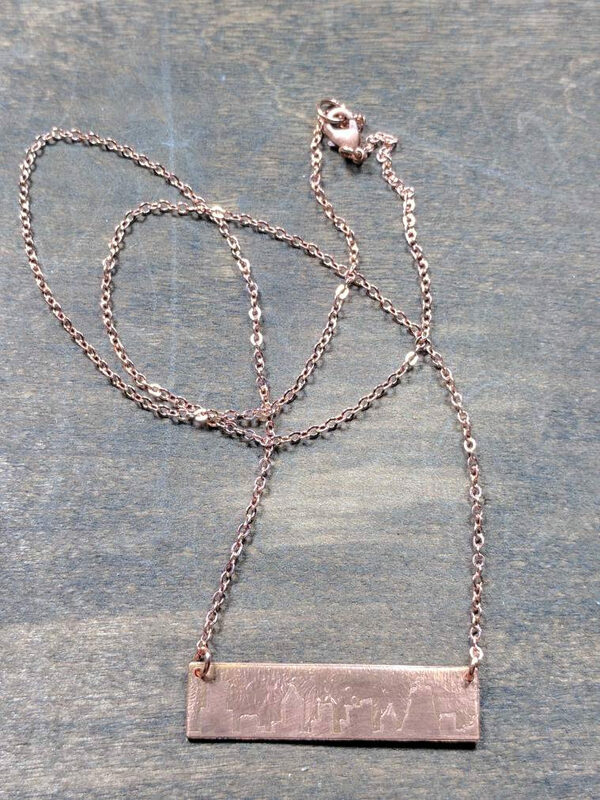 Available in copper or brass.